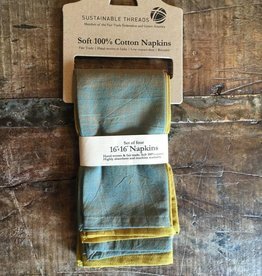 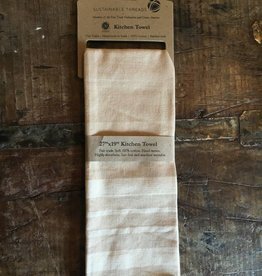 These 100% cotton, hand-woven, fair trade napkins are made in India. 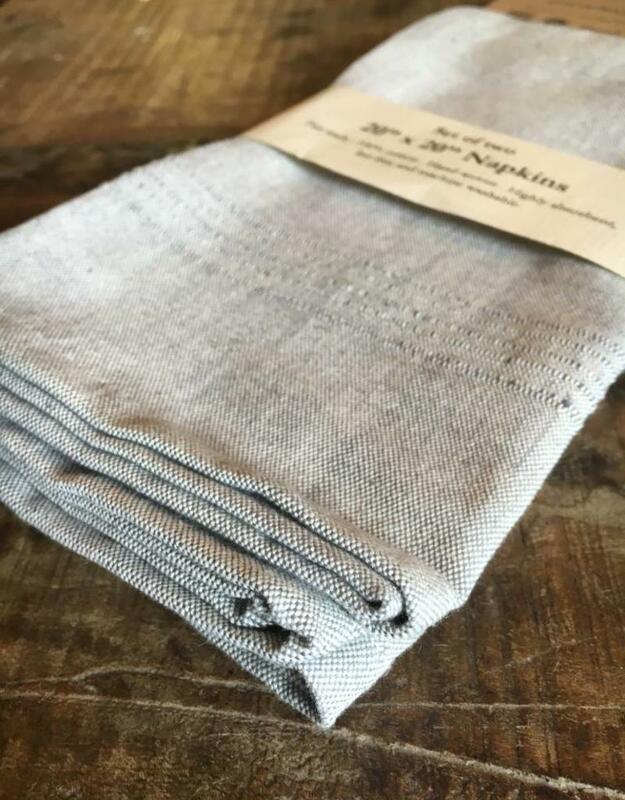 They are environmentally friendly, using low impact dyes to create a beautiful light gray fabric with hints of blue. 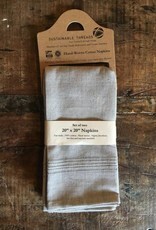 Please see the second picture for a close up of the color. 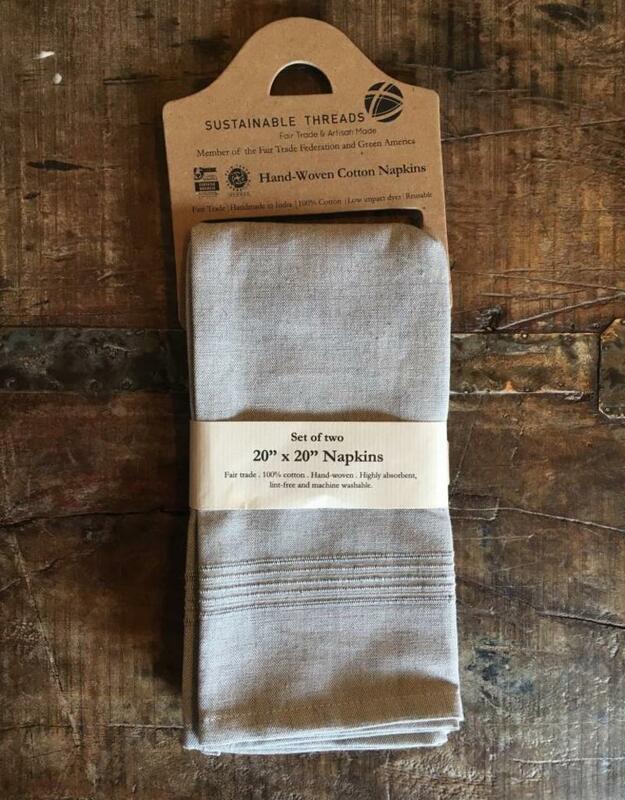 Napkins measure 20" by 20".